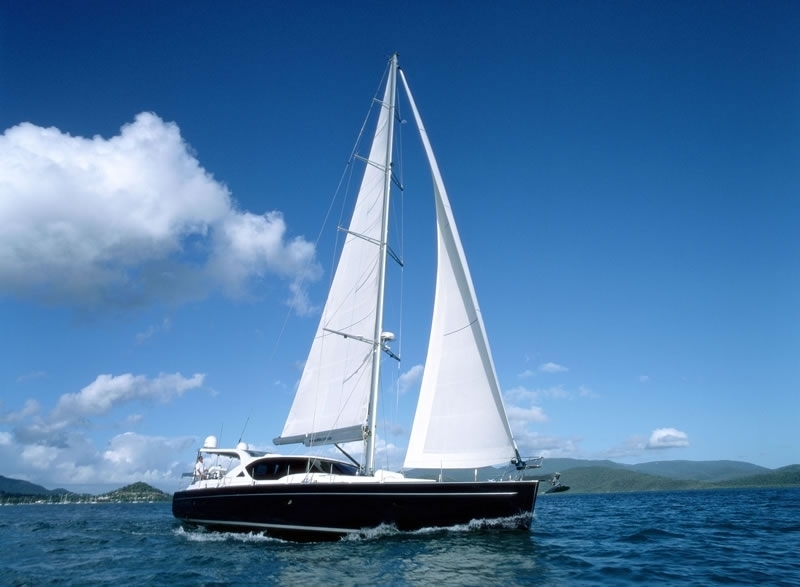 Live in luxury in the Whitsundays with a romantic sailing escape! Spend 3 nights at one of Airlie's most exclusive resorts - Coral Sea! Sailing Whitsundays Whitsunday Wonderland Package will leave you feeling refreshed, pampered and smiling ear-to-ear! Including a three night stay at the waterfront Coral Sea Resort in a spa suite and a luxury yacht cruise on Whitsunday Bliss, this package is a popular way to celebrate engagements, anniversaries, and honeymoons. This package has been designed to give you the chance to experience the best of the Whitsundays. For 3 days and 2 nights, you will sail among the idyllic Whitsunday Islands visiting some of the region's top destinations as well as those that are secluded and untouched. Then visit the mainland in Airlie Beach and stay at in the exclusive spa suite at Coral Sea resort. This is a package fit for those looking for a more upscale Whitsundays getaway. Built around top performance and quality, this package offers you the most luxurious and romantic way to experience the Whitsunday Islands! Perfect for couples, honeymooners and those wanting a nice personal relaxed getaway. You can have your stay at Coral Sea Resort before or after boat trip, whatever suits you! 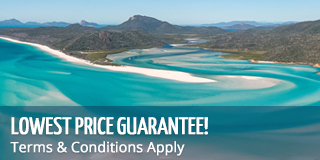 Sail into paradise on board Whitsunday Bliss 3 day, 2 night and create some memories that will last you a lifetime! This modern cruiser is ideal for honeymooners or partners wanting a romantic getaway. Taking out only three couples at a time, Whitsunday Bliss offers 3 private cabins that are each fully equipped with an ensuite. This carefully designed layout allows for optimal privacy and a more intimate atmosphere. With ample space, a low number of passengers, and extras such as personal TV/DVD players, Foxtel, and an espresso coffee machine, you can relax with all the amenities of home out on the beautiful Coral sea. Positioned directly next to the ocean and just a short stroll via seaside boardwalk to the enchanting Airlie Beach resort village, lies the Coral Sea Resort, your Airlie Beach accommodation! In room extras such as hairdryer, bathrobes, tea and coffee maker, microwave, Ipod Dock. The Coral Sea Spa Suites are built on the high watermark on the oceanfront. They feature a king size bed, and a luxurious outdoor balcony spa and double hammock all overlooking magnificent sea views. Please note Peak season surcharges (Christmas and New Year) may apply. Boat - Please bring only a small soft bag with: change of clothes, hat, swim-wear, beach towel, sunscreen 30+, warm pullover for the evenings (seasonal). You will also need to bring your own alcoholic beverages, available for purchase in town. No glass bottles please. Boat - Skipper, host, drinking water, meals, linen, wetsuit hire, snorkelling equipment and all marine park fees. Accommodation - Breakfast & Linen. Boat - BYO alcohol - no glass. Soft drinks available for purchase on board. All client cancellations forfeit 25% of total ticket price and all client cancellations made less than 21 days prior to departure will result in complete forfeiture of the full price of the package. Your credit card details will be passed on to the accommodation to secure your booking. If the tour operator has to cancel the trip and we cannot offer a suitable alternative, then a refund will be given minus card fees. We strongly recommend that you have travel insurance, especially during the wet season.